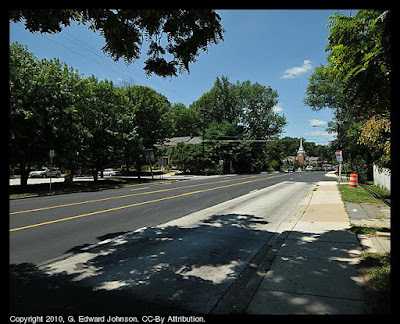 It looks like they are finished the resurfacing project on Old Georgetown Rd in Bethesda, MD. There may still be barrels and signs, but the work itself is done. They didn't just resurface the road, they did work on the storm drains, bus stops, and corners too. Oddly, the resurfacing project ended just short of downtown so there is still a stretch of road in poor shape. The part they didn't do was probably the part that was in the worst shape. Many of the bus stops got concrete pads for the bus to stop on. Concrete is stronger than asphalt and buses are heavy, this will hopefully make the road last longer. 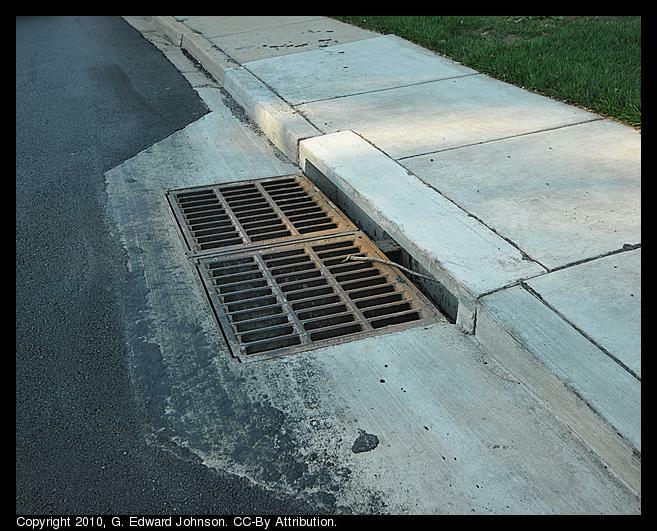 The storm drains got concrete around them. 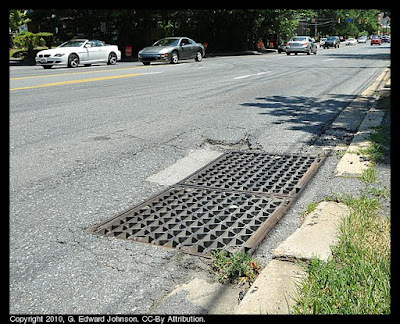 I'm not positive the reason but I think it is because the drain/asphalt junction doesn't hold up well and the asphalt tends to crack in that area making it tough on bicyclists. 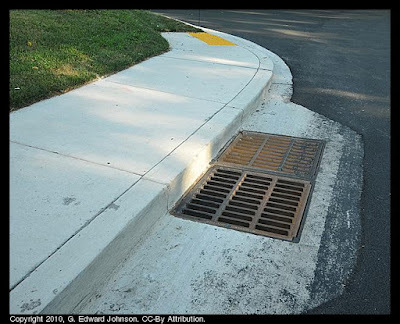 There are two different types of storm drains, the top one has a grate but no curb opening, the bottom one has both a grate and a curb opening. I didn't notice anything about the surroundings that would have them prefer one over the other. Here's a storm drain that didn't get fixed, you can see patches, chunks of asphalt missing, cracked asphalt and grass growing in the cracks. Not too pretty and a bit dangerous for bikes.